Live Nation Entertainment, the world’s leading live entertainment company, has been recognized as a top workplace for LGBTQ equality by the Human Rights Campaign (HRC) Foundation, the educational arm of America’s largest civil rights organization working to achieve equality for lesbian, gay, bisexual transgender and queer people. This recognition is the latest in a series of third-party acknowledgments for Live Nation’s industry practices and workplace culture. Live Nation has also been recognized as one ofLinkedIn’s Top Companies, Fast Company’s Most Innovative Companies, Fortune’s Future 50, a certified Great Place to Work, as well as the top donor to veteran’s organization Vet Tix. HRC envisions a world where LGBTQ people are embraced as full members of society at home, at work and in every community. Live Nation joins the ranks of over 560 major U.S. businesses that also earned top marks in 2019. 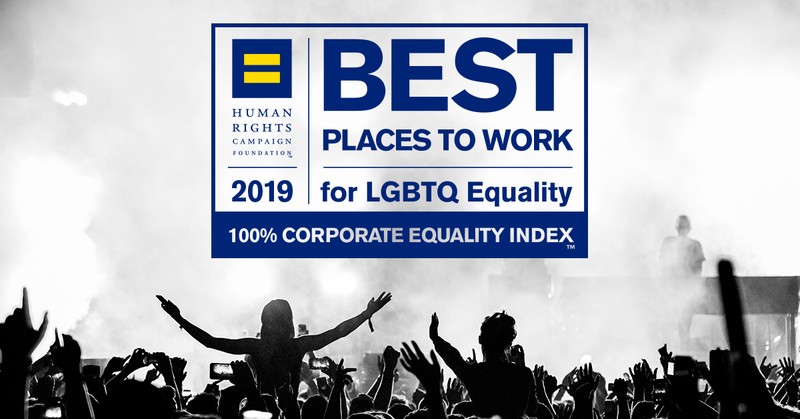 For more information on the 2019 Corporate Equality Index, or to download a free copy of the report, visit www.hrc.org/cei.